Do you need help in the recovery and verification of data in New York? When it comes to data recovery we try to see the whole picture from the beginning. Firstly we understand that we are dealing with a person who has lost something. The second part to the equation is the technology which is the medium on which the information was/is located. Finally and most importantly our goal is YOU, our Client to come out of this with your data and a newly formed friendship with us. Our experts can assist you in the recovery and verification of data from any device. Firstly we follow a path of least resistance by going after the data, from the easiest method first this way we can save you time and money. We can recover from mobile devices, computer systems, servers, storage devices, cloud locations, and other IT environments. No data recovery is too small or too big, because what matters to you is what matters to us! You could be an individual or an organization, our team is capable to assist everyone! Only after your successful data recovery do we ever charge our clients for our services. your full satisfaction is our primary focus. 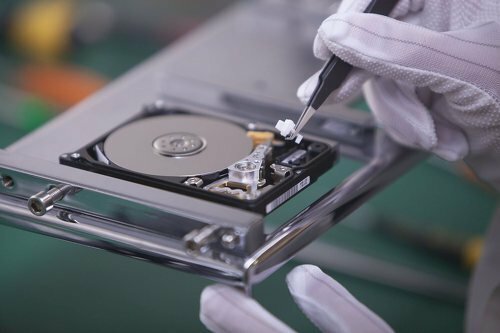 Please don't trust your data recovery to just anyone, give us a chance to help you, with over 15 years experience we are confident we can do the job. , make sure to call the experts at Computer Answers. So if your data is of critical importance to you, call now! 866-488-2806 or fill out our Contact Form . We are located conveniently in Albany, Brooklyn, East Village, Schenectady, and Clifton Park.